Released in June 2001, Half-Life: Blue Shift is an expansion to the critically acclaimed Half-Life, where you assume the role of Barney Calhoun as he tries to escape Black Mesa. Originally slated to be released for the Sega Dreamcast, it was instead converted to a standalone PC game when Sega discontinued the Dreamcast. 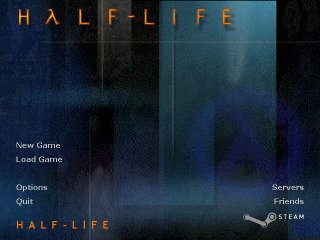 However, many HL fans were disappointed by the lack of extra material in this game when compared to the other expansion, Half-Life: Opposing Force, leading some to dub this game "Blue ****". Best time on Easy difficulty: Single-segment 0:28:25 by Paul 'PJC' Connolly on 2014-10-15. Best time on Hard difficulty: Single-segment 0:31:22 by Albin 'quadrazid' Sigby on 2012-06-27. Best Hazard Course time on Easy difficulty: Single-segment 0:03:40 by Paul 'PJC' Connolly on 2014-10-17. Single-segment Easy: 0:28:25 by Paul Connolly. The time without loads is 28:11 which is obtained via post-production of the video, with loads it's 28:25 which you can see if you use 'listdemo <demoname>' in the game's console, though you need to subtract 14 seconds from the time that the game provides as timing doesn't begin until I've hit the first loading screen (following timing from previous runs). You can tell I'm not using a script to bunnyhop by hearing the extra footsteps in the jumps. Speedcap is avoided the majority of the time by using the 'ducktapping/rolling' technique. Binding scroll wheel to +duck and spamming it when I start going too fast. Single-segment Hard 0:31:22 by Albin Sigby. The main goal with this run was to beat the previous segmented one with a single-segment. I managed to beat it by 30 seconds after 7.7 hours of gameplay logged to my steam account. This run is not very good or entertaining in my opinion. If you want a more entertaining run with lots of tricks and perfect execution, search for a segmented Blue Shift speedrun by quadrazid and rayvex. Not much to comment. Trying to bhop as fast as possible. But still restrict myself to not reach the speed cap. Requires a really decent circlejump to cross the big gap. But it also saves a decent amount of time. After pushing the button to open the port I jumped outside the platform to avoid the trigger who spawn an alien slave. At the next button to lower the elevator, I found out that I could bug gib all the alien slaves on it with higher framerate. Saving me a troublesome fight. Geared up for coming unavoidable yard fights. Most fights went really good. I made a so called nuke with a AR grenade to nuke all the wood cleavers. Would have taken a long time to shoot them in a normal way. The chapter went good until Rosenbögen decided to run up all the stairs again, in total costing me a full minute!. This is the only major flaw in the run. Making some damage boosts for a few shortcuts. Had to lower my armor with a bullsquid for the last boost. Pretty good. Lowering my fps to maneuver the battery easier. For the final teleport of myself. I could have activated the portal from the outside, saving about 10 seconds. But its slightly blocked by invisible walls making it a bit harder to do so. So I decided to not try this. Let myself fall down in the Xen world, activating the teleportation a bit sooner. This is a good start if any future runners want to give this game a go. Single-segment Easy Hazard Course 0:03:40 by Paul Connolly. The training level for this game isn't much different from the original orange hazard course, but it has longer speeches, no longjump and a few minor differences in the sections with the biggest being the change in layout of the jump practice room. There are quite a few original hazard course runs and so I decided to do something different; it also 'fills in a gap' SDA-wise for Blue Shift. Everything is pretty solid other than a second or two lost with the scientist at the end. I needed to avoid getting too close to him as he'd heal me otherwise (I had below 51hp) so I had to go around him in the end. Done on the Steam version because of the continuous demo feature and uncapped bunnyhopping isn't really needed.